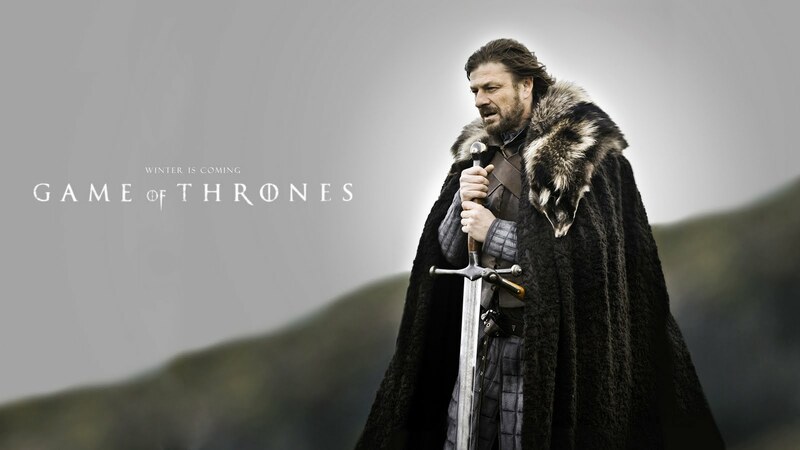 I think I mentioned that I spent much of last week catching up on the HBO series Game of Thrones. As I also said before I really liked the show. It pretty much follows the novel (and a tiny bit of book 2) so there are no real surprises - but I thought the whole thing was epic, psychologically rich, well shot and well acted. As I also mentioned before Game of Thrones was filmed in Belfast and rural Northern Ireland (there was also a second unit in Malta) which is the first American series ever to be filmed in N.I. so for me that's a great thing. Let's get people excited about something from Belfast that isn't rioting or civil war or a ship so crappy it sank on its maiden voyage killing two thirds of the people on board. Let's rebrand Northern Ireland as Westeros just as New Zealand has rebranded itself as Middleearth. Northern Ireland actually has more fantasy provenance than New Zealand - Ulster, after all, is the setting for The Tain - the greatest of all the Irish mythological stories and CS Lewis, one of the pillars of modern fantasy fiction, came from Belfast. The filmmakers could help too. I was pretty surprised that in season 1 there don't seem to be any Irish actors in the cast at all. What's up with that? If you watched John Adams on HBO you'll be aware that before unifying things like radio and TV, regional English accents were incredibly diverse. Yet in Westeros, an island 5000 miles long, there are few regional variations and no American or Irish accents. Sean Bean speaks with his own Yorkshire intonation and so does the rest of his family. I think its fair enough to give the Lannisters a Home Counties speech pattern, but surely we could have had as many accent varieties in the show as at least they have in present day Britain. And I have to say it ticks me off a little that there isn't a Belfast voice in Thrones. As a way of supporting the local film industry Peter Jackson makes a point of casting New Zealand actors when he can in his fantasy movies. Indeed with the casting of James Nesbit in Peter Jackson's The Hobbit, The Hobbit is going to have more Belfast accents in it than Thrones even though it is shot in Wellington. There is some diversity in Thrones but it isn't much: I think Lady Arryn is speaking with a lowland Scots burr and I'm pretty sure Sandor Clegane (the Hound) also has some kind of Scottish accent. But we need Welsh, Irish, West Country, Brummie, East Anglia and yes American accents in Thrones to reflect the diversity of Westeros. And it would be nice if the filmmakers took a leaf out of Peter Jackson's book and cast some Irish actors in leading roles.